One Week | Live. Learn. Love. Eat. It is amazing how time flies! 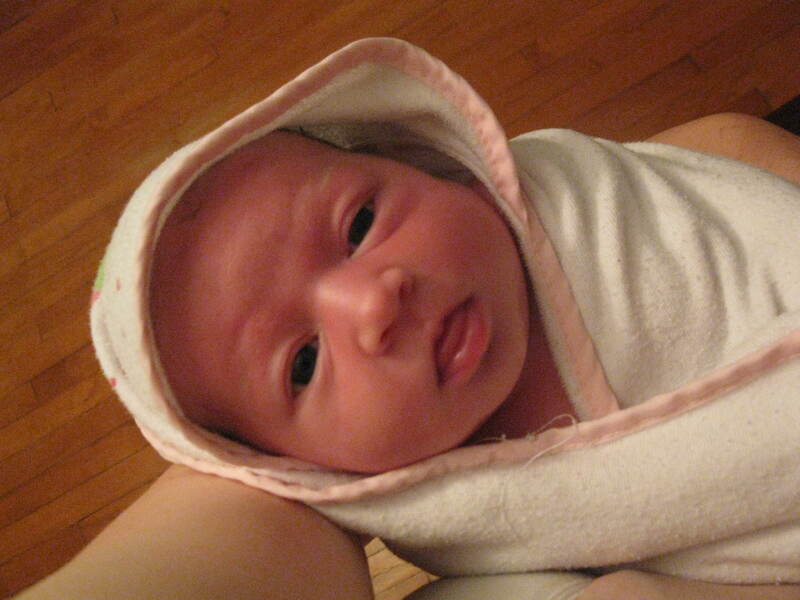 It seems like just yesterday I thought that I might just be pregnant forever and today little Serafina is one week old. I love her so much and am enjoying every moment. Especially cuddling her and watching her sleep even though I should be sleeping myself. I know that this is going to go by so fast. I am also enjoying being spoiled by my husband who had the whole week off and will also have next week off too. It is nice to have him be able to take the girls and to cook and clean for me. Here is a picture of the amazing dinner he made for us last night. 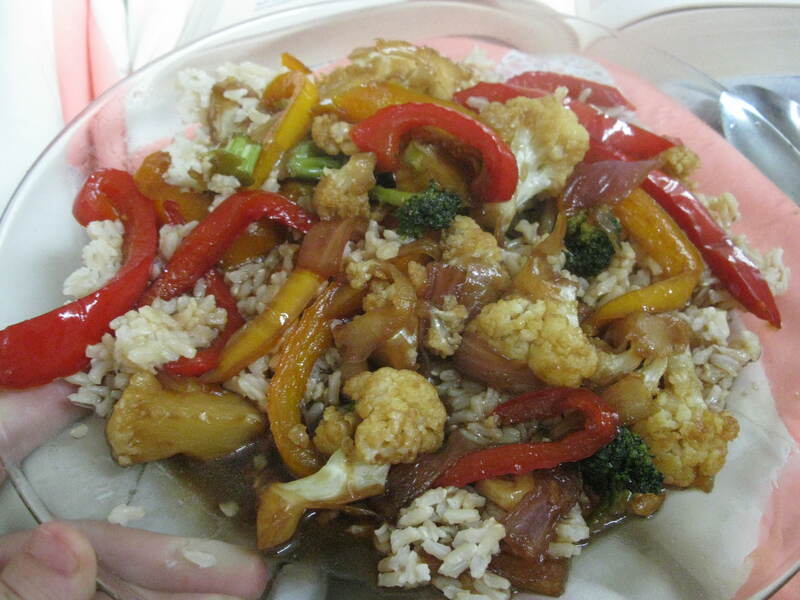 Stir-fry with brown rice in a nice ‘honey’ garlic sauce made from garlic, maple syrup and shoyu. It was sooooo good! I wonder why I am the one with the blog. I will have to learn his technique for this dish and share it on here sometime. Autumn said it was scrumptious. I totally ate this right up. 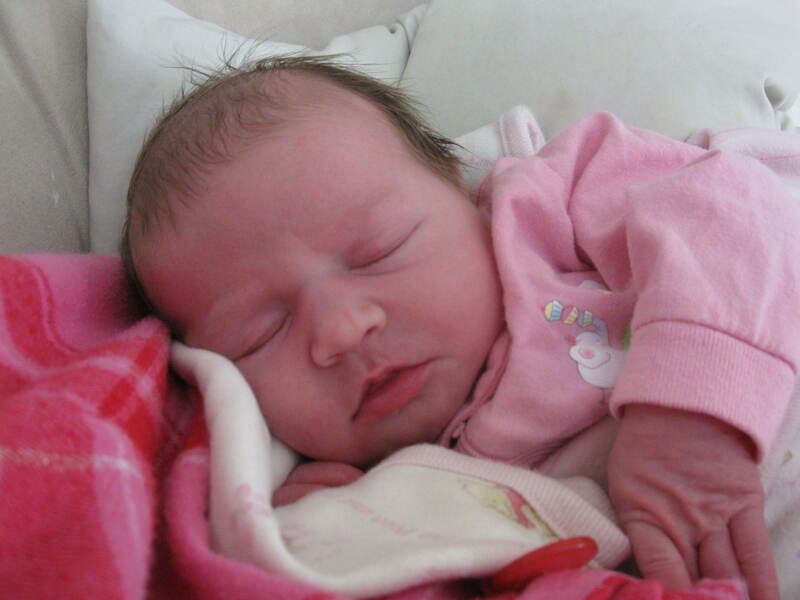 It’s hard to believe that she is a week old already! She is a little angel.